Home / Products / Candy / Jelly Belly Products / Jelly Belly 5 Flavor Sour Assortment, 1 lb. 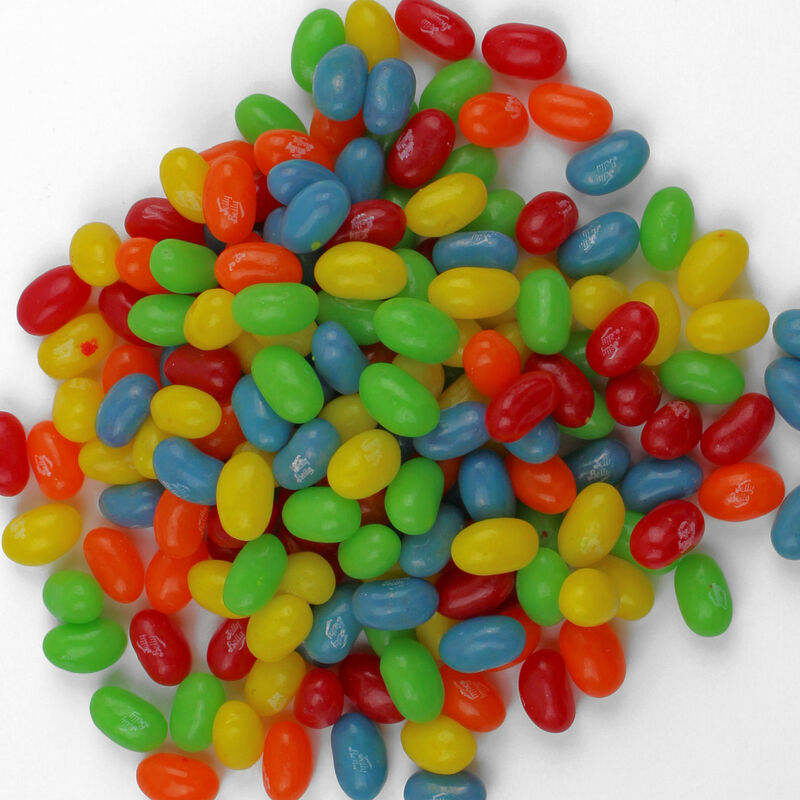 The Jelly Belly 5 Flavor Sour Mix includes: Sour Apple, Sour Cherry, Sour Grape, Sour Lemon, Sour Orange. Approximately 400 beans per pound. Sugar, Corn Syrup, Modified Food Starch, Contains 2 % or less of the following: Apple Juice Concentrate, Grape Juice Concentrate, Lemon Puree, Cherry Juice Concentrate, Orange Puree, Citric Acid, Fumeric Acid, Sodium Citrate, Sodium Lactate, Natural and Artificial Flavors, Artificial Color (Red 40 Lake, Blue 1 & 2 Lake, Yellow 5 & 6 Lake), Bees wax, Carnauba Wax, Confectioner's Glaze. May contain Wheat, Milk, Peanuts, Tree Nuts, Soybeans and/or Eggs.